Have you ever needed to sort a large number of items that don't have an easily defined order? Maybe it's what TV to buy or where you're going for a holiday. Some things only have a specific order to you. So ordering them with software isn't an easy option. To simplify the process I wrote Sortamajig. Watch it in action. 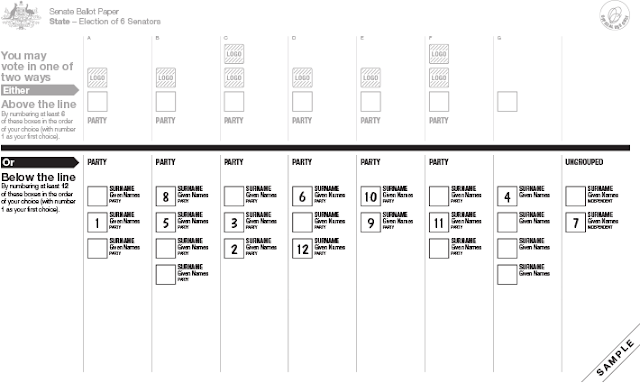 For a long time now I've know that the ballot paper for the 2016 Australian senate elections had a chance of being large, and because I'm a little pedantic/broken I like numbering all the boxes. The ballot paper for the Australian senate can get a little complicated. You have the option of voting for at least 6 parties(sort of) above the line (which automatically selects the candidates under the line in order), or numbering at least 12 individual candidates under the line. That might not seem hard, but in the 2016 election the ballot paper for Queensland will have about 40 columns and 122 candidates under the line. This is where Sortamajig helps. All I have to do is feed it a group of images and it will continue asking me to choose between two of them until they're sorted. If I can't make a choice, there's a button to randomly make a choice for me. If I make a mistake there are undo and redo buttons as well. 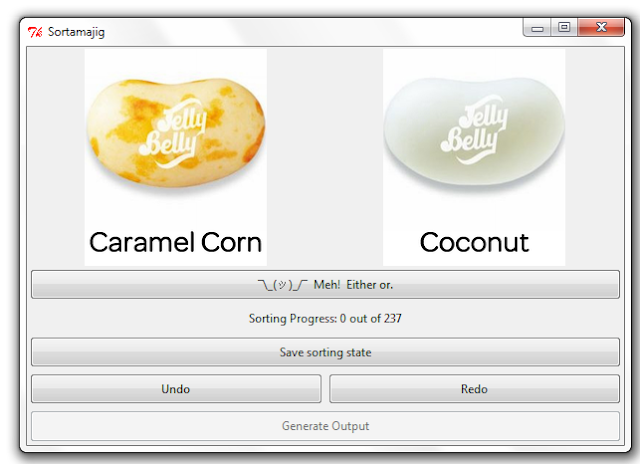 When the sort is complete, I click on generate output and an image grid and text file of the results is generated. Now to test out the program I needed something I can sort that's subjective and easily comparable. 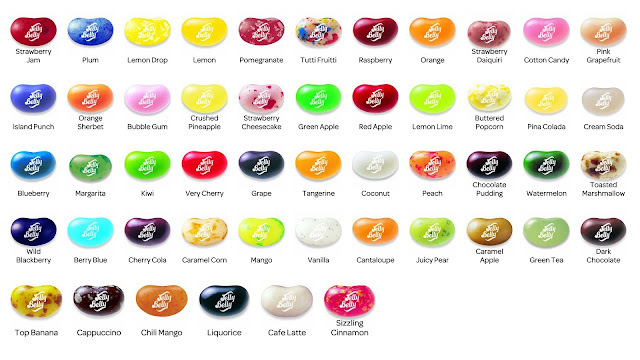 So I decided to go with Jelly Beans, particularly Jelly Belly brand. 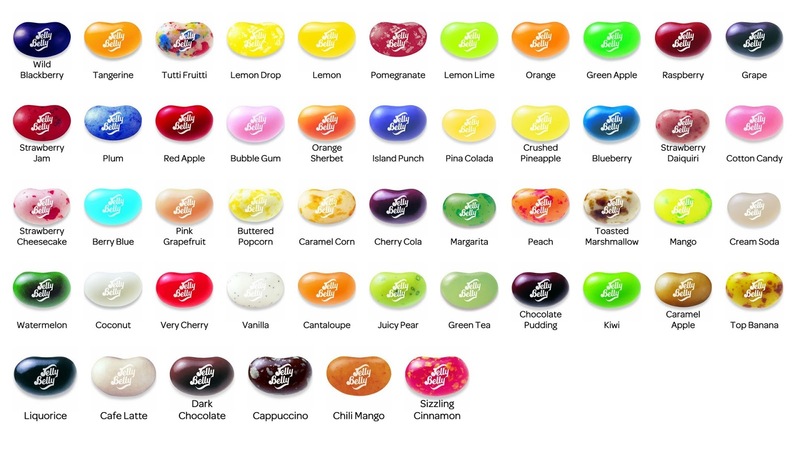 I love them, and people's favourites vary just as much as their favourite politicians. To generate some data I decided to do three trials on separate days and combine the data into a final result. 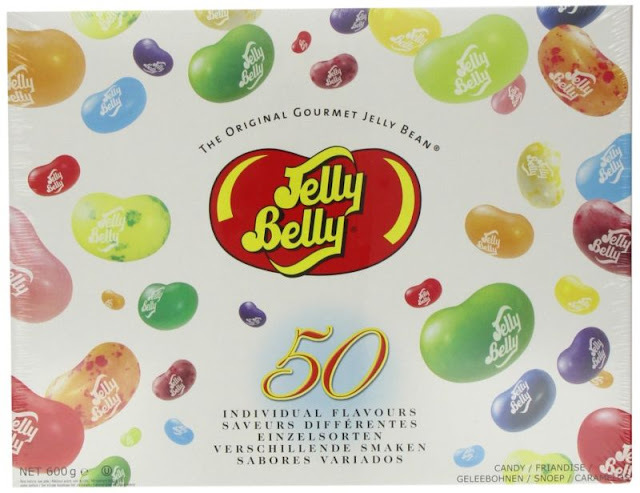 Some flavours can overpower the next flavour tasted, to prevent this the tasting order was randomised on each trial by shuffling a 50 numbered pieces of paper and placing them in the compartments on the box tray. The jelly beans were tasted in this order. Below are the results of the three trials in image form. 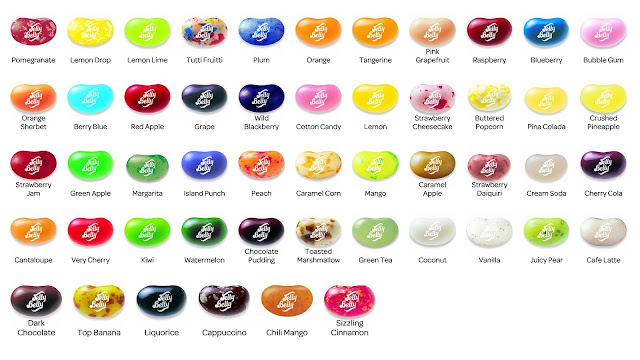 The jelly beans are ordered from left to right and then top to bottom. For instance, in the first image Strawberry Jam is first and Plum is second. To combine the results I averaged the position of each flavour in the different trials and re-ranked them using the average. The graph below shows the average position on the horizontal axis and the position and spread of the three trials on the vertical axis. An interesting thing I noticed when processing the results of the 3 trials is that I'm reasonably certain about the flavours I like the most and least. In the middle of the rankings however, the positions of a particular flavour in each trial has a wider spread and is less certain. The code is really rough and needs to be cleaned up. If you have a look at the Github repo at some point in the future I may have improved it. Some of the groundwork for this tool can be found in these other posts. Now for the important part. What were my results?